Today I struck mi first counterpunch. To leave a reasonable depression on the punch's surface took about 12 or more blows with a 3 kilos hammer. More than what I've expected And I had to place the vice on the floor because the table was making everything to bounce. In the end the counterpunch broke. Its tempering was obviously not well done (the straw color was not so close to the tip). Well, I've learned some lessons today. Interesting. 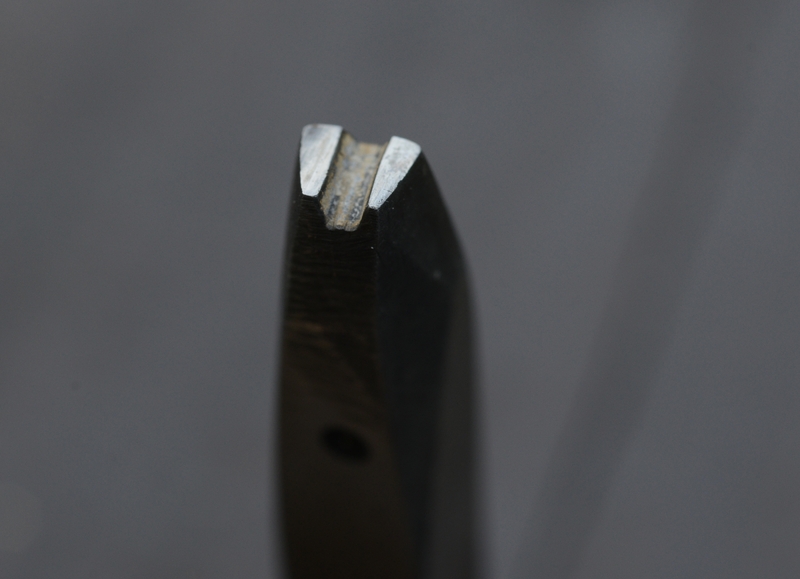 What is the black dot on the side of your counterpunch? Here are a couple of photos of a counterpunch which broke during Stan Nelson's 2016 Wells College class. 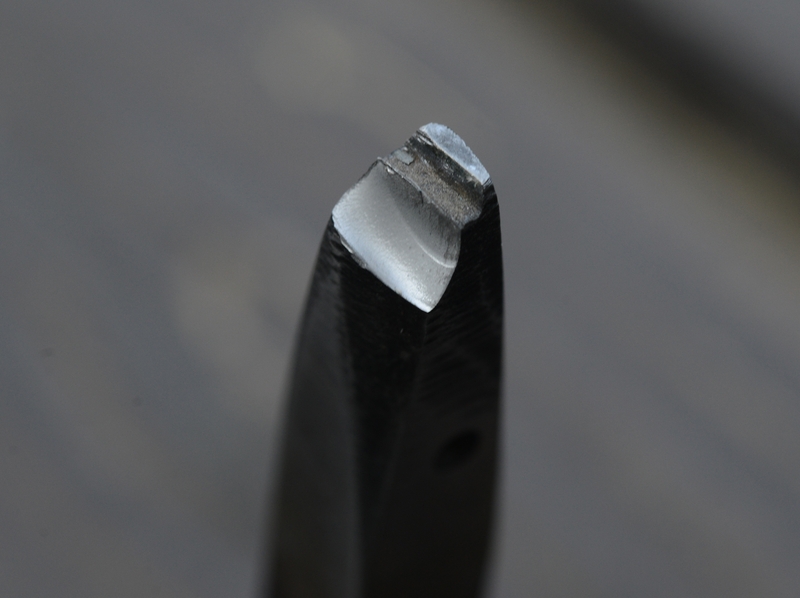 You can see the parts which were cracked during hardening (but invisible, or at least not noticed, before use) and the part which fractured during the counterpunching operation. 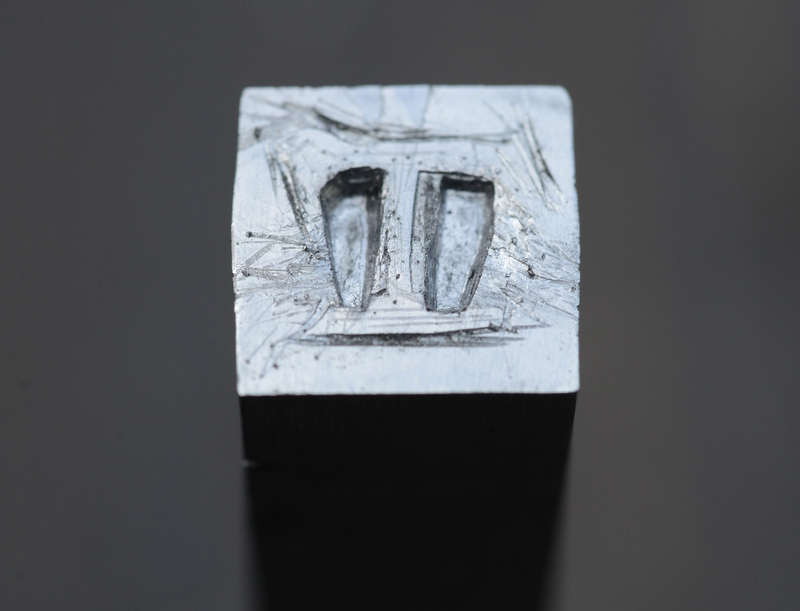 >>What is the black dot on the side of your counterpunch? It's a small cavity it was already on the steel. It's from a batch I got from a friend who works in an metal engraving company.